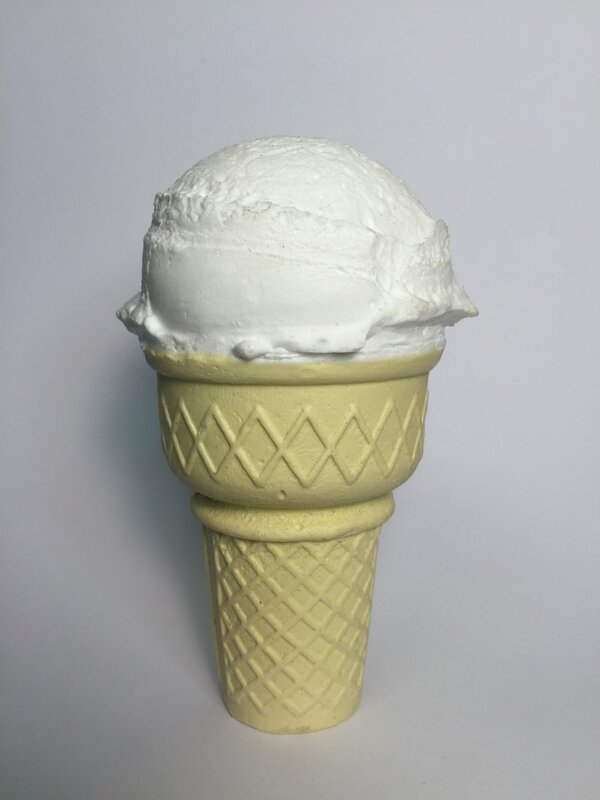 Collectible life-sized ice cream cones handcrafted using cast urethane plastic. Visit the Contact Page to place an order or request a quote. Custom orders and compositions available upon request! Dimensions: Single scoop cones are 4" x 2.5" and weigh 5.5oz. 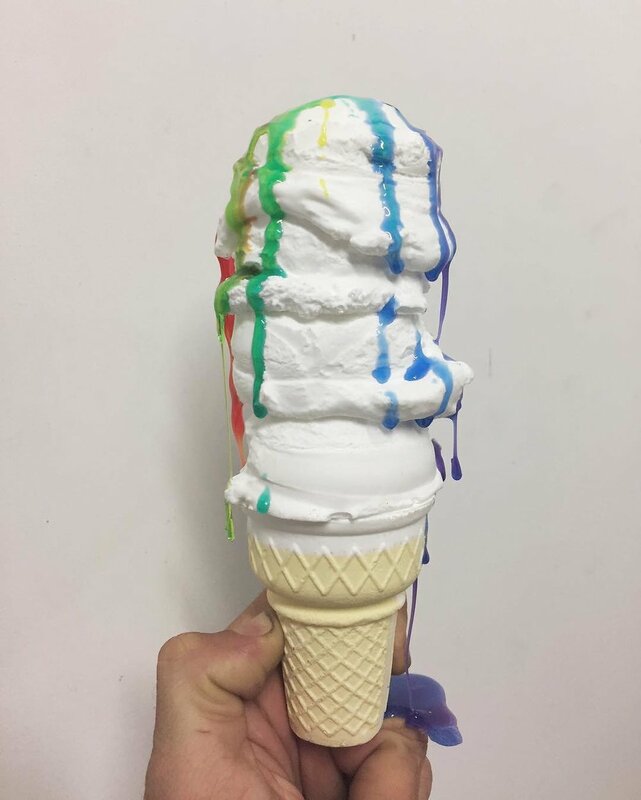 Each additional scoop increases the height by approximately one inch.